Home > Beauty & Style > Hair > Red-Burgundy Hair? And when I say red-burgundy, I mean like Cat's (Ariana Grande) hair In the new Nickelodeon show "Victorious." 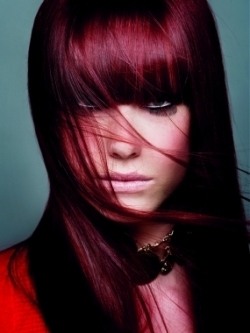 I see a lot of girls with burgundy red hair now and i love the color. 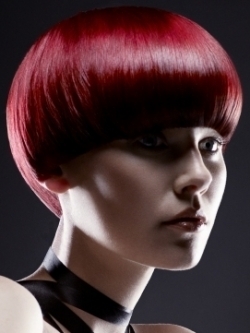 Intensive shades like Burgundy as well as the other shades of red add softness and an out-of-this-world lush to your hair. Red-Burgundy is OK for girl with green eyes and long eye lashes. Even better if she has style. 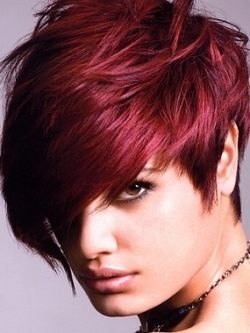 Red hair color fades the fastest out of any hair color. So if your friend wants it to stay the color she likes longer, I would suggest her to go to a professional. Remember that red hair dye is the hardest color to get to stay in the hair, and the hardest to get out. Your friend can use the color "Deep Burgundy" from Garnier Nutrisse. It comes out looking burgundy, and in the sunlight you can see a little bit of plum highlights, it looks amazing. Garnier's "chocolate cherry" is another good choice. It has avocado oil with it to minimize the damage to your hair. It is a deep burgundy red/brown. Similar Threads for: Red-Burgundy Hair?